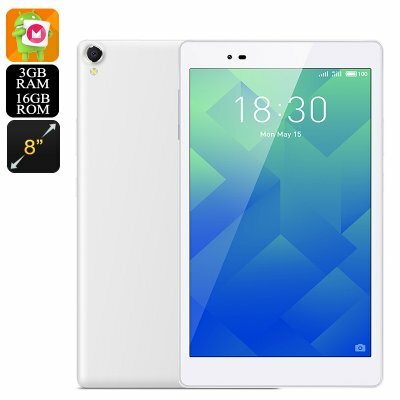 Successfully Added Lenovo P8 Android Tablet – Octa-Core CPU, 3GB RAM, FHD 8-Inch Display, 4250mAh, 360-Degree Sound, 8MP Cam, Android 6.0 (White) to your Shopping Cart. The Lenovo P8 is a powerful Android tablet that lets you engage in both work and entertainment on the go. With its ultra-sleek and lightweight design, this beautiful tablet PC can be easily carried around anywhere you go. It comes equipped with a crisp 8-Inch LCD display that treats you to breath-taking FHD visuals in a 1200x1920p resolution. Never before have you been able to enjoy such clear and realistic images on the go. Along with the tablet’s 360-degree surround audio effect, you’ll be able to undergo an unbelievable audio-visual experience. If you’re looking for an Android tablet that lets you enjoy your favorite movies and games wherever you go, the Lenovo P8 is perfect for you. Packed underneath the beautiful display of this Android tablet you’ll find the state of the art Snapdragon 625 processor. This Octa-Core CPU has been clocked at 2.0GHz. 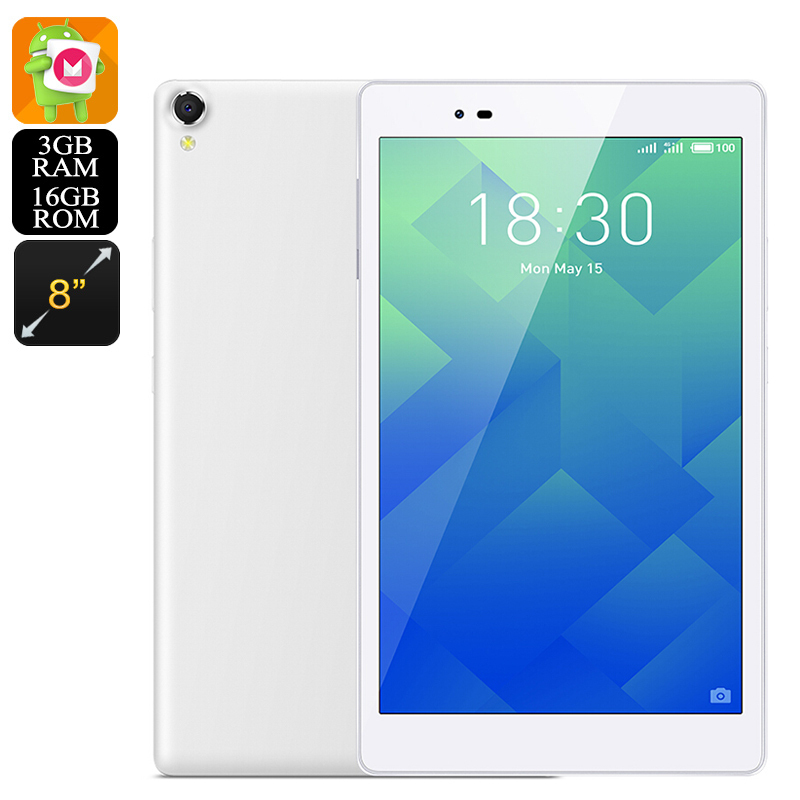 Along with the whopping 3GB RAM this Android tablet computer holds, it lets you tackle all the most demanding software features available. Whether you’re into games, movies, or simply wish to browse the web – the Lenovo P8 handles it all. Thanks to its massive yet lightweight 4250mAh battery, your Android tablet computer lets you enjoy your favorite media for up to 4 hours in a row. This means that you’ll be able to use this beauty throughout the day without needing to worry about running out of juice. The Android 6.0 operating system of the Lenovo P8 tablet PC brings forth a smooth and lag-free user experience. Along with its sophisticated hardware, this gizmo allows you to enjoy the latest features available. Simply head out to the Play Store to download the entertainment of your liking and you’ll never have to feel bored again. With its 16GB internal storage and 64GB SD card slot, this Android tablet offers plenty of space to store all your files. Thanks to its ultra-fast WiFi connectivity, it furthermore lets you stream movies straight from the web and download the entertainment of your linking in the blink of an eye. Whether you use it for work or entertainment - the Lenovo P8 is sure to meet your demands. At the rear of this beautiful Android tablet you find a professional-grade 8MP camera. This snapper is great for shooting pictures and Full-HD video. The tablet PC furthermore comes with a 5MP front camera for taking selfies and engaging in FHD video calls with friends and family. With this tablet computer at your side, you can be guaranteed that not a single special moment in life ever passes by again without snapping the perfect picture. The Lenovo P8 Android tablet comes with a 12 months warranty, brought to you by the leader in electronic devices as well as wholesale tablet computers.